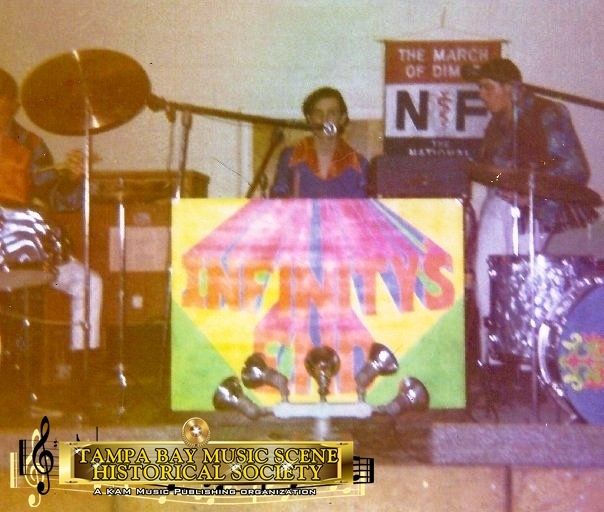 Infinity's End performing live in 1970. The first photograph features all five members on stage. 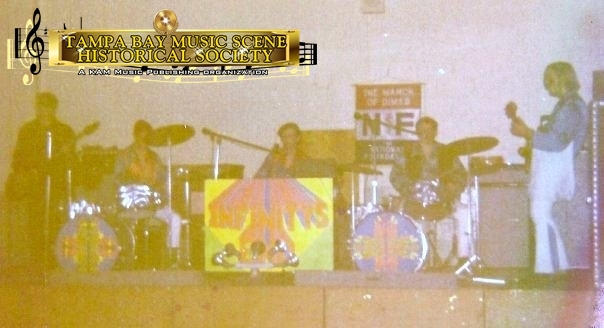 A March of Dimes sign hangs behind one of the two sets of drums. Terry Gene Bollea stands on the far right of the photograph, playing guitar. 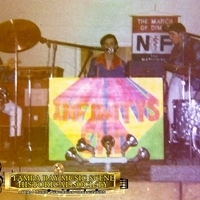 The second photograph is a close up of the keyboardist with the band's logo propped up in front of his keyboard. The drummer and another band member are also in the photograph. Two original color photographs, 1970: Profiles: Bands & Artists, Tampa Bay Music Scene Historical Society. Digital reproduction of original color photograph. http://www.tampabaymusichistory.com/resources/IE%201970.jpg. Digital reproduction of original color photograph. 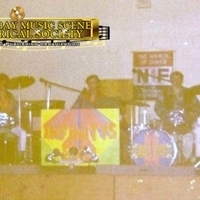 http://www.tampabaymusichistory.com/resources/IE%20circa%201970.jpg. “Infinity's End Live with Logo.” RICHES of Central Florida accessed April 26, 2019, https://richesmi.cah.ucf.edu/omeka/items/show/5468.